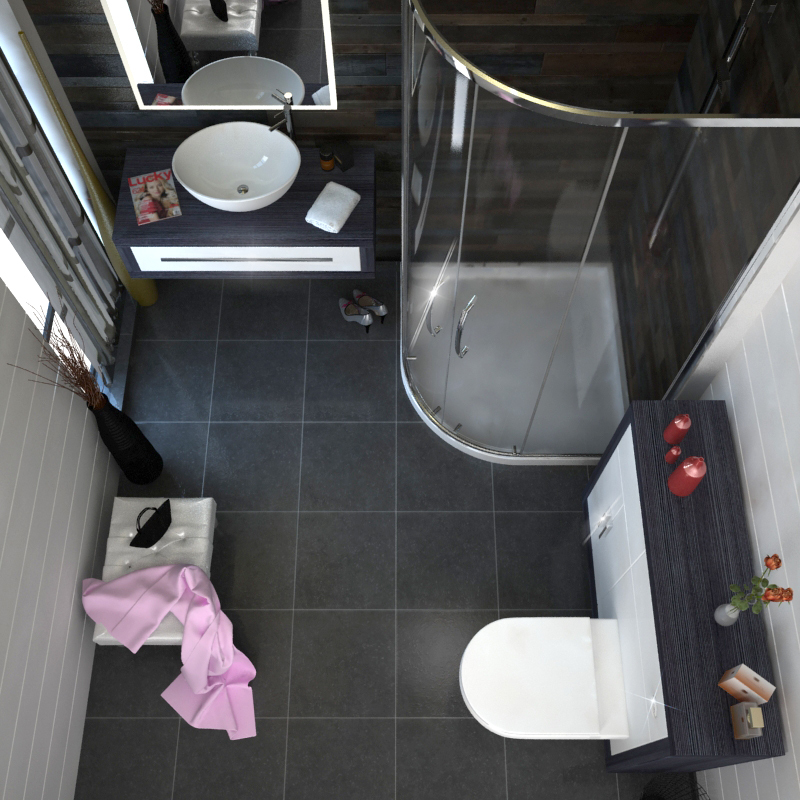 Choose the ideal contemporary bathroom suite with the Geo 2 Hacienda Quadrant Shower Suite. Boasting a host of sleekly designed items, this suite is ideal for those chasing a contemporary look. The Geo 2 Hacienda's main strength is probably its corner shower enclosure. 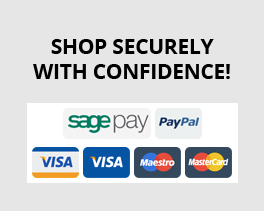 Made with a sturdy chrome frame, and supported by smooth sliding doors, this enclosure comes with 5mm thick safety glass guarantueeing you of endurance and quality. 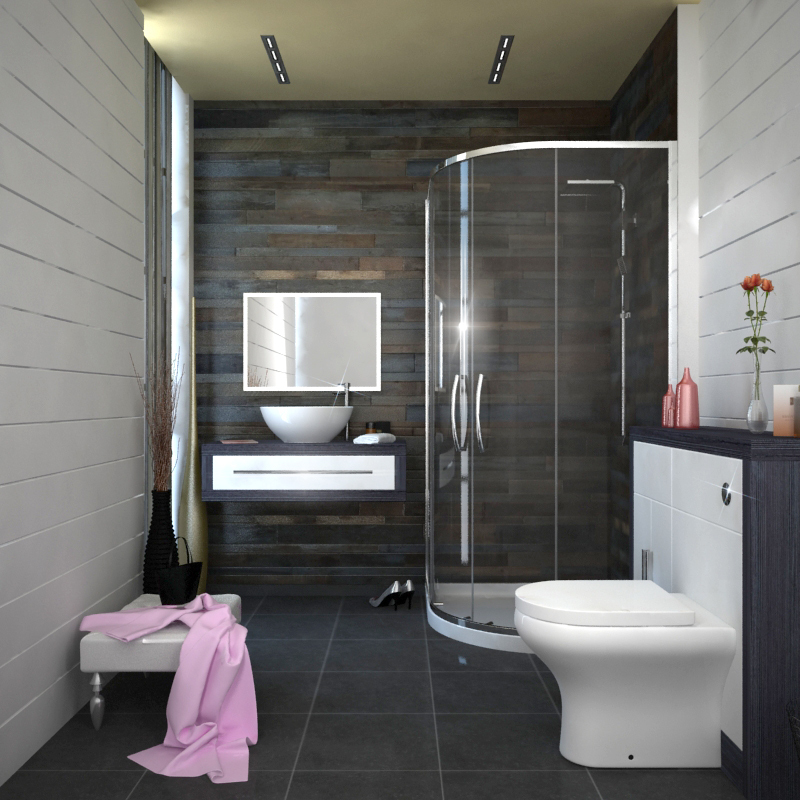 Positioned parrallel to your shower enclosure will be the stunning Geo Lucido Unit. Contoured in a grey finish, and accesorised with chrome handles, this unit will save valuable floor space whilst adding contemporary flair. 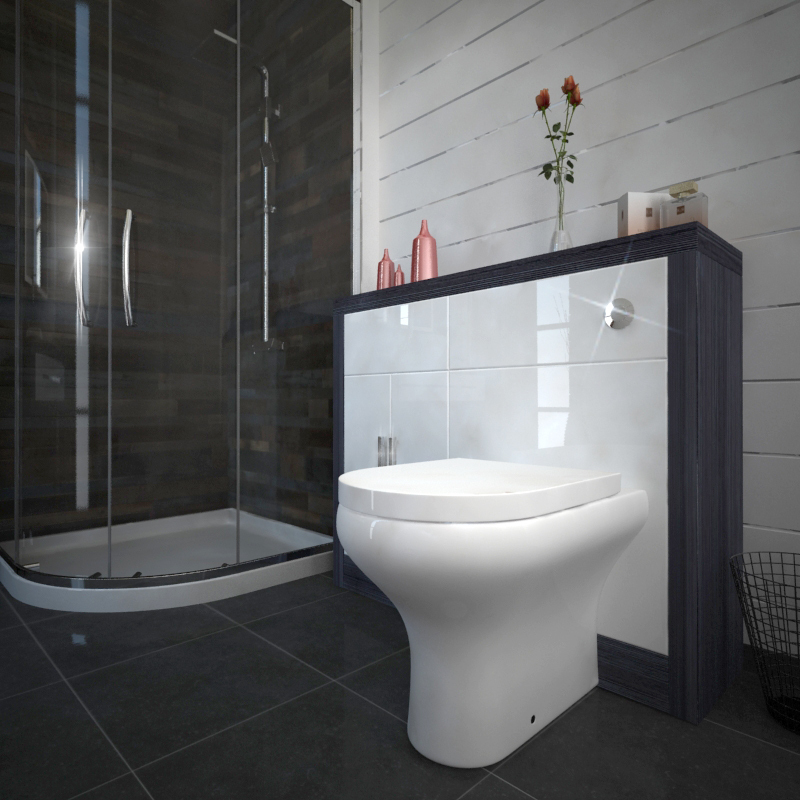 This unit is then complemented by a round basin and an Ark Massa Tall Tap. 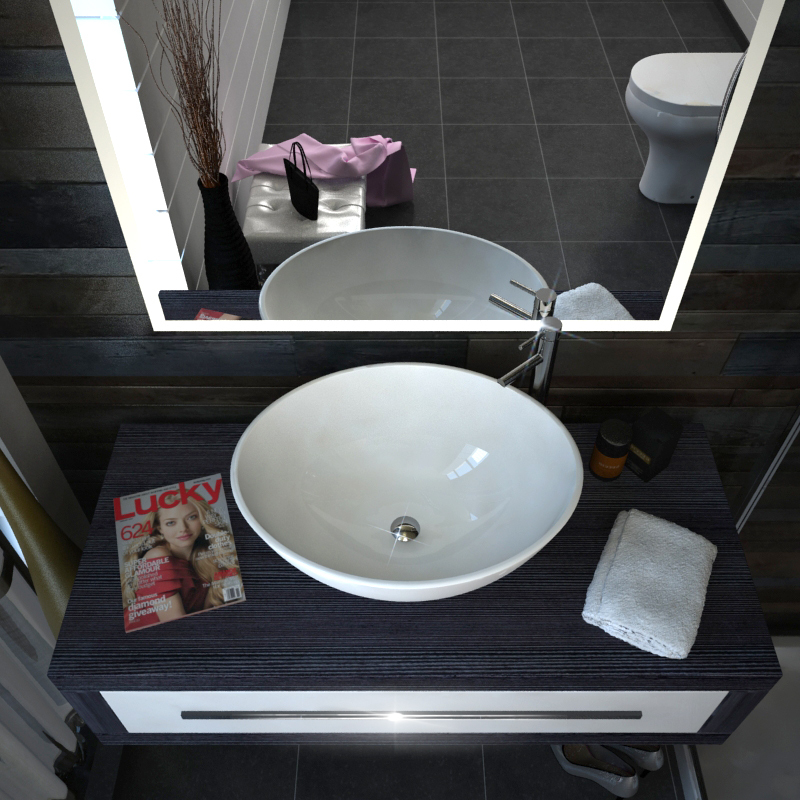 Completing the sink area is the illuminate Damana Mirror. 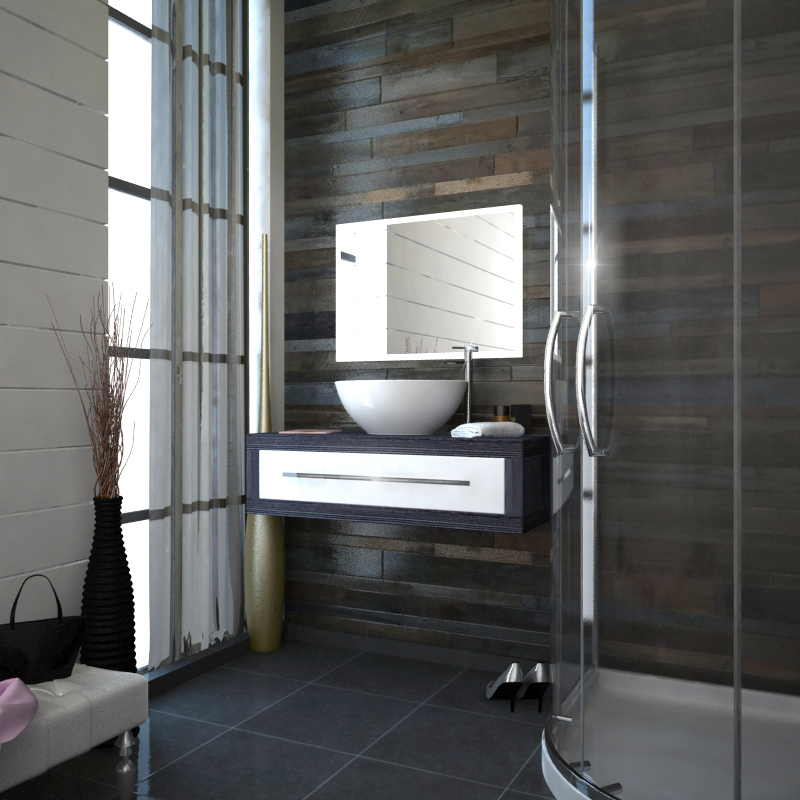 Adding the perfect warmth, this 500mm by 700mm mirror is perhaps the finishing touch on what is the ideal modern basin. Increasing the storage capacity of the suite, is the Hacienda1200 Storage Unit. 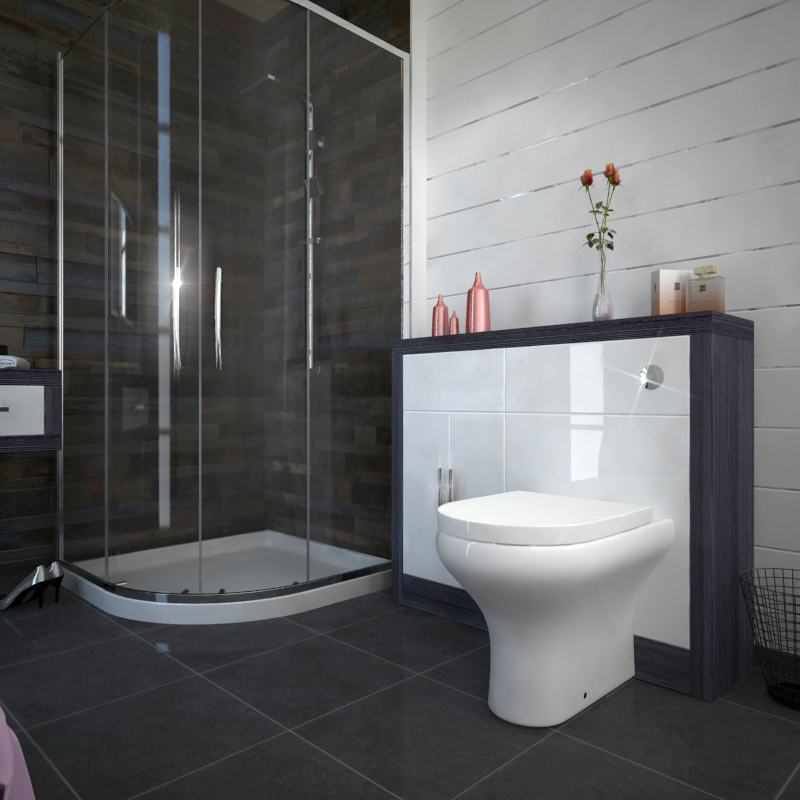 Creating more storage space and filmed in a high-gloss acrylic fronts, this unit comes a curved shaped modern toilet and soft closing seat. Luxury Patello 800 Quadrant Corner Shower Cabinet Suite With 2 Drawer Sink, Toilet and BTW Cabinet.